In this study, researchers of the Royal Observatory of Belgium show gravity data from recent Cassini flybys can be explained if Dione’s crust floats on an ocean located 100 kilometers below the surface. The ocean is several tens of kilometers deep and surrounds a large rocky core. Seen from within, Dione is very similar to its smaller but more famous neighbor Enceladus, whose south polar region spurts huge jets of water vapor into space. 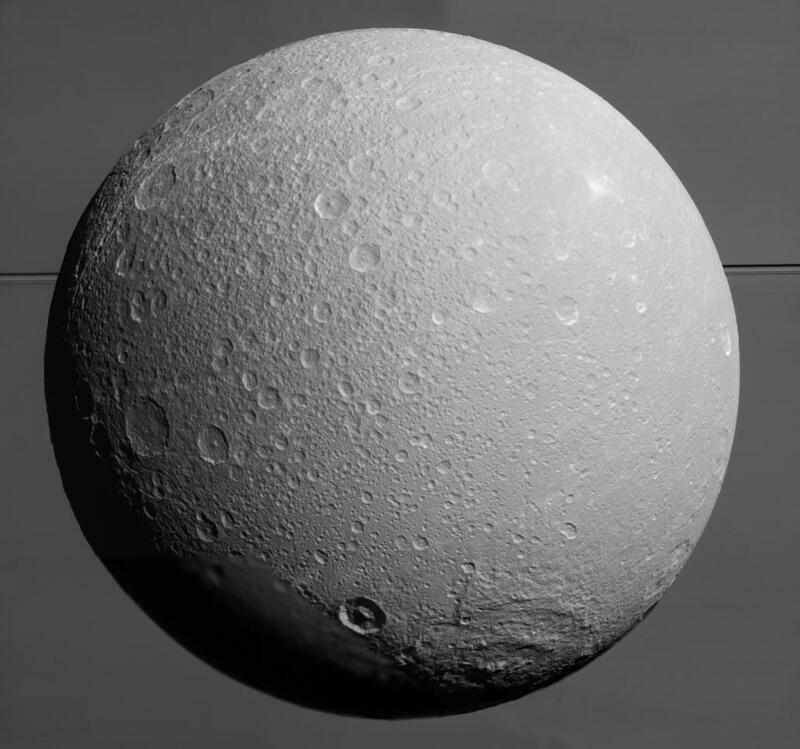 Dione seems to be quiet now, but its broken surface bears witness of a more tumultuous past. Enceladus’ gravity and shape have been explained in terms of a thick isostatic ice shell floating on a global ocean, in contradiction of the thin shell implied by librations. Here we propose a new isostatic model minimizing crustal deviatoric stress, and demonstrate that gravity and shape data predict a 38 ± 4km-thick ocean beneath a 23 ± 4km-thick shell agreeing with – but independent from – libration data. Isostatic and tidal stresses are comparable in magnitude. South polar crust is only 7 ± 4km thick, facilitating the opening of water conduits and enhancing tidal dissipation through stress concentration. 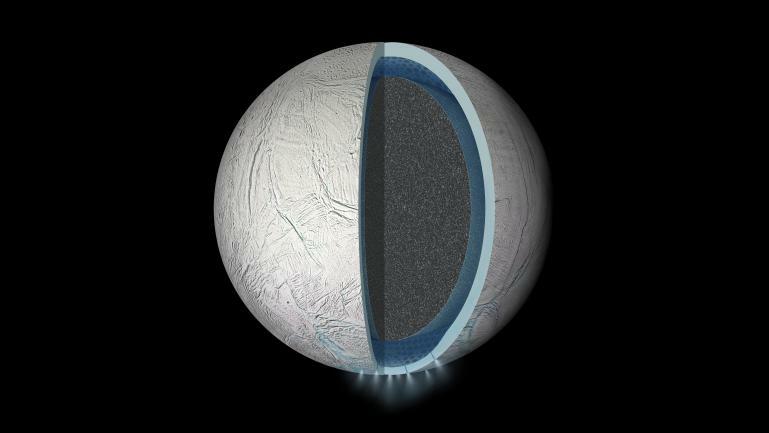 Enceladus’ resonant companion, Dione, is in a similar state of minimum stress isostasy. Its gravity and shape can be explained in terms of a 99 ± 23km-thick isostatic shell overlying a 65 ± 30km-thick global ocean, thus providing the first clear evidence for a present-day ocean within Dione.